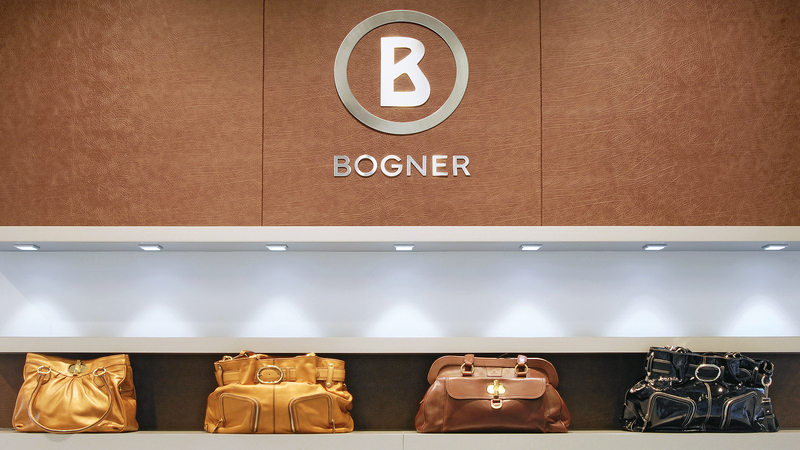 The fashion company Bogner from Munich presents itself in its outlet stores with an interior architecture that is modern and at the same time close to nature. 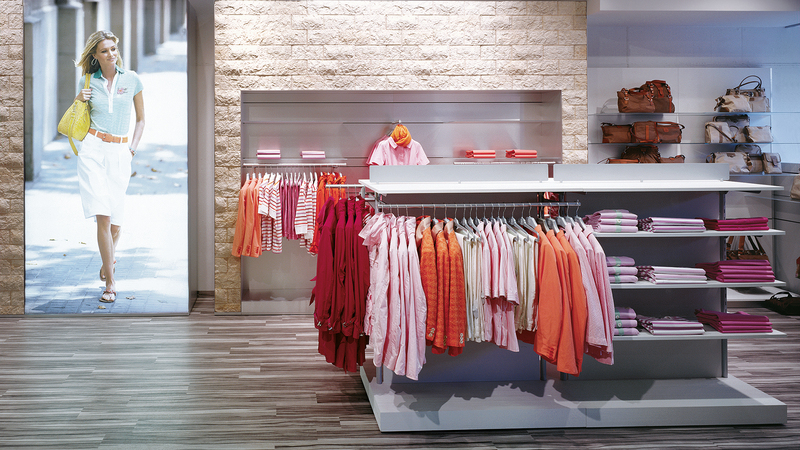 Factory and stock sales areas usually present themselves in a functional, sterile and simple atmosphere that often does not correspond to the brand feeling of the respective products. Designer garment does not only lose value with regard to the price, often there is no emotional transfer from brand to shopping experience either. 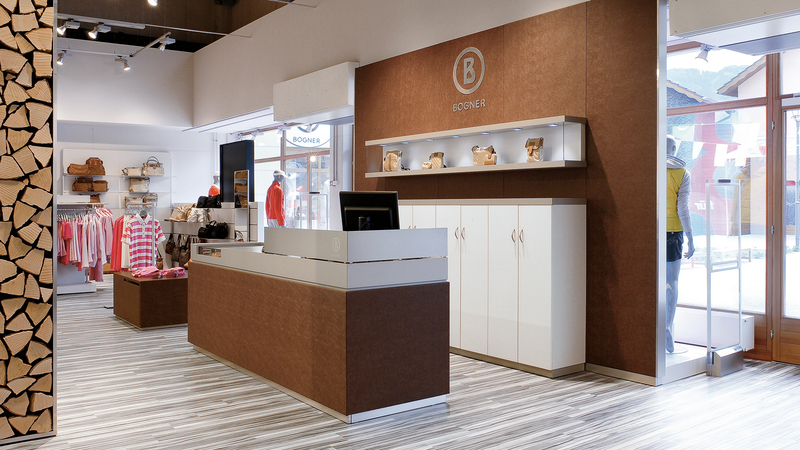 This imbalance is changed with the Bogner outlet stores and the timeless and international style of the label with the big “B“ is also spatially communicated. The concept of a series of stores that are in harmony with the Bogner monostore design with natural stone and elegant metal optics works. The blend between sport and style, tradition and modernity of the Bogner fashion brand served as a basis for the interior architecture of the outlet stores. 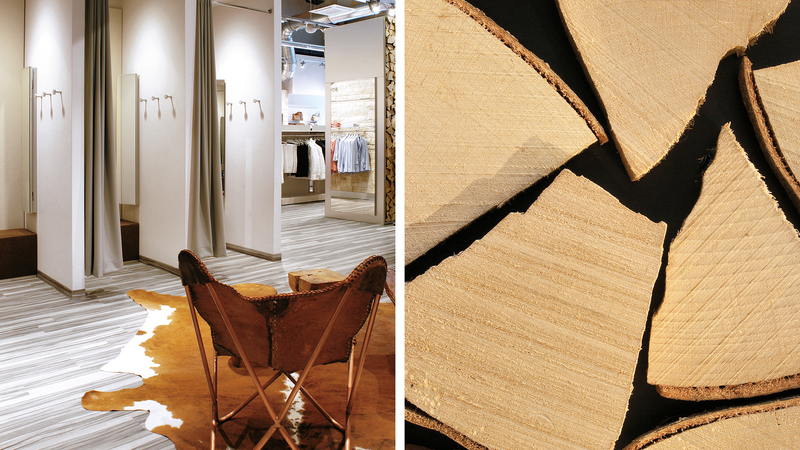 Log, leather, travertine and grey grooves' optics are the style-creating elements. This choice of materials creates an alpine-sportive atmosphere. Due to the fact that the design does without glossy materials, the rough haptics of the natural materials is enhanced. The mix of material, that is warm wood and travertine in contrast to cool leather and brushed aluminium communicates the Bogner aesthetics and closeness to nature and thus complies with the maximum design, quality and function requirements. 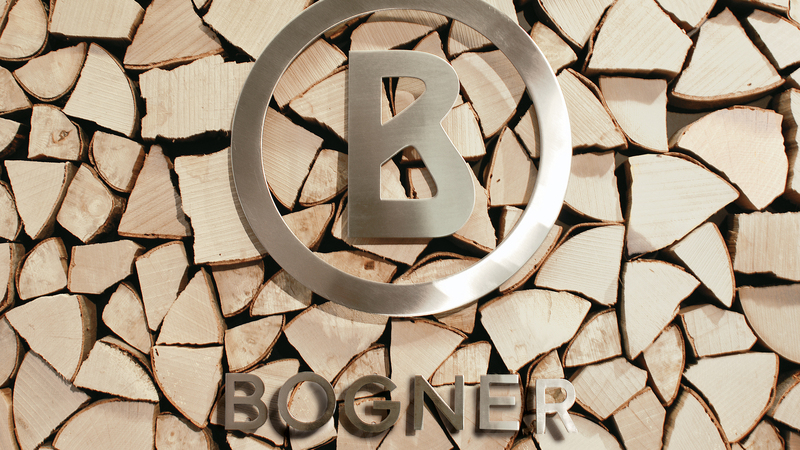 The emotional bond with the brand Bogner is thus enhanced by a brand-adequate shopping experience.